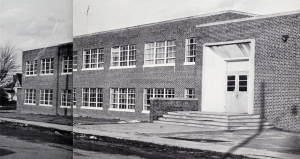 A new batch of yearbooks courtesy of the Mount Airy Museum of Regional History are now live. These yearbooks are the first materials on DigitalNC from this partner and they are chock full of personality. A very distinct staff page from the 1954 edition of Franklin High School’s Maroon and Grey. 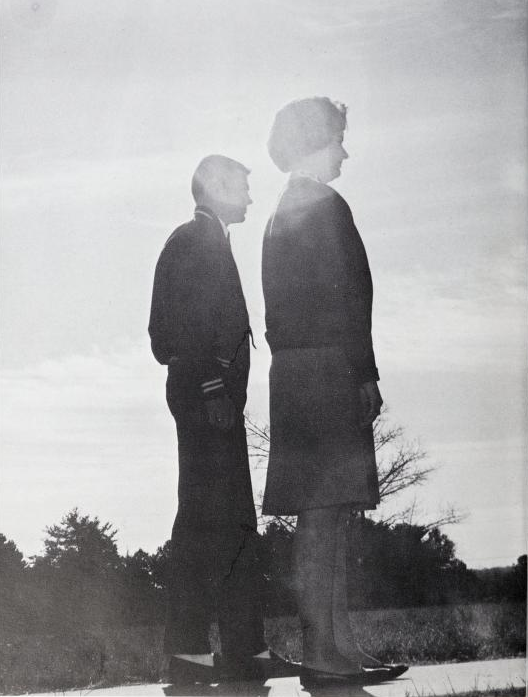 These yearbooks span from 1939 to 1961 and encapsulate student life in Surry County through these decades. Schools included are Franklin High School, Pilot Mountain High School, White Plains High School, Dobson High School, and Copeland High School. 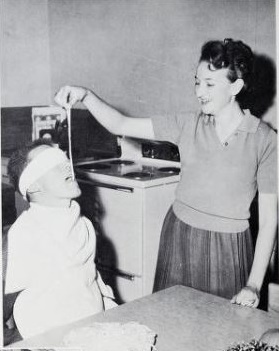 Copeland High School’s 1961 “Best Sport” superlative winners. To learn more about Mount Airy Museum of Regional History, visit their website or partner page. Links to yearbooks are organized by school and listed below. A new batch of Transylvania County, North Carolina, are now up on DigitalNC, courtesy of our partner, the Transylvania County Library. 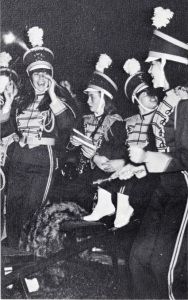 Included in this batch are several editions of The Oriole from Rosman High School, and the 1967 and 1968 editions of Brevardier from Brevard High School. 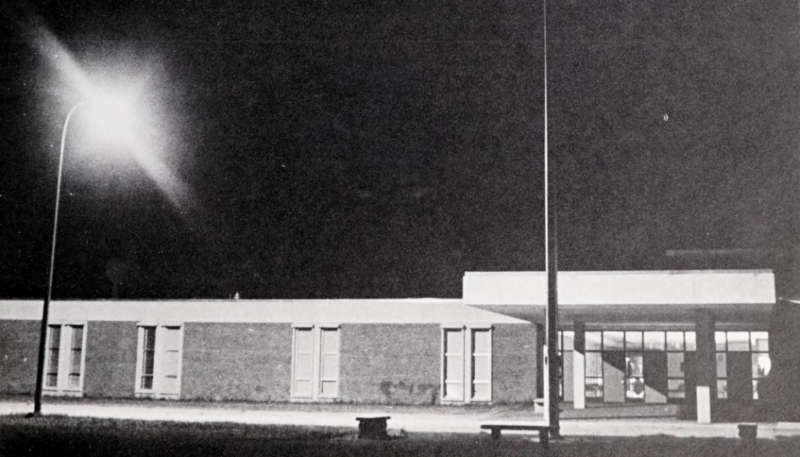 These yearbooks show what it was like to go to school in Rosman and Brevard at that time. 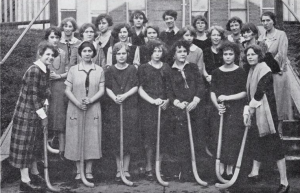 These yearbooks show individual portraits, class portraits, and photographs of activities, sports teams, and organizations like the Future Farmers of America and the Library Club. They also include photographs celebrating the years’ school plays, and faculty at the school, as well as honor societies. Some also include class histories, class songs and poems, and more. For example, the 1949 Oriole contains a class prophecy, where the author tried to predict where the graduating seniors would be in several years, and “class wills”, where the graduating class left behind skills and memories to the future graduating students. To see more materials from the Transylvania County Library, please visit their partner page or visit their home page. 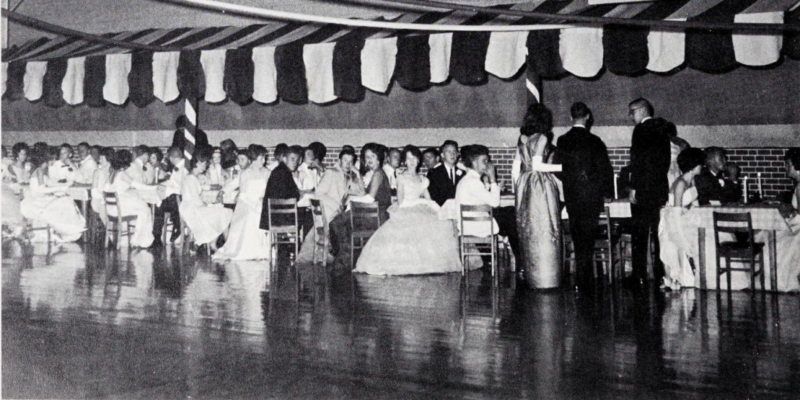 A new yearbook from Henderson, North Carolina, is now available on DigitalNC, courtesy of our partner, the Perry Memorial Library, the 1962 Pep Pac yearbook from Henderson High School for the 1961-1962 school year. This yearbook contains individual and class portraits, the school’s alma mater poem and fight song, senior superlatives, and the class poem. Also included are photographs of student activities, class clubs, and student athletics. 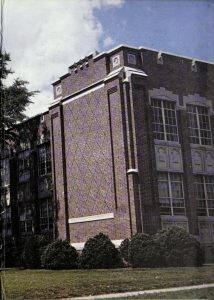 The yearbook also includes a “class prophecy”, descriptions of what they hoped they would be doing and how their lives would play out after graduation, and the “last will and testament”, where they “left behind” their skills, abilities, and different items to the underclassmen and future graduates. This yearbook gives us a valuable window into what life was like as a high schooler in the early 60’s. To see more from Perry Memorial Library, visit their partner page or check out their website to learn more. A birds eye view of Goldsboro High School, taken in 1968. 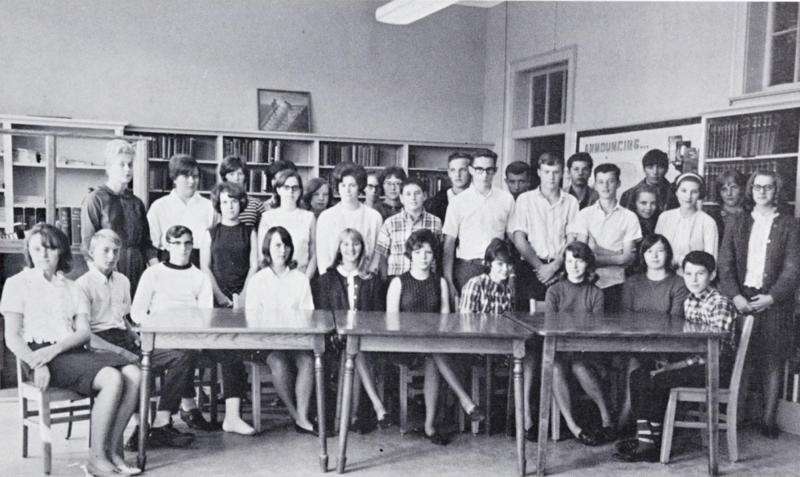 A new batch of yearbooks from Wayne County are now available on DigitalNC, courtesy of our partner, Wayne County Public Library. In this collection are over half a dozen yearbooks from the 1950s and 1960s from across Wayne County, including the city of Goldsboro and the towns of Dudley and Pikeville. These yearbooks include individual portraits, class portraits, and more. They also include photographs of activities, student clubs, and the schools’ sports teams. These yearbooks highlight different parts of the student bodies, including the history clubs, the technical students, the students involved in foreign language classes, honor societies, and more. 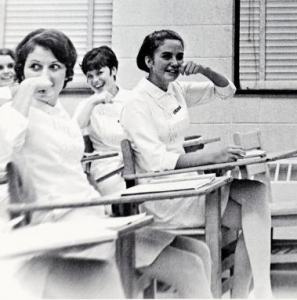 A photo of students at Southern Wayne High School in 1968. Senior supplements published in the early 1940s are also now online, which can be seen here. 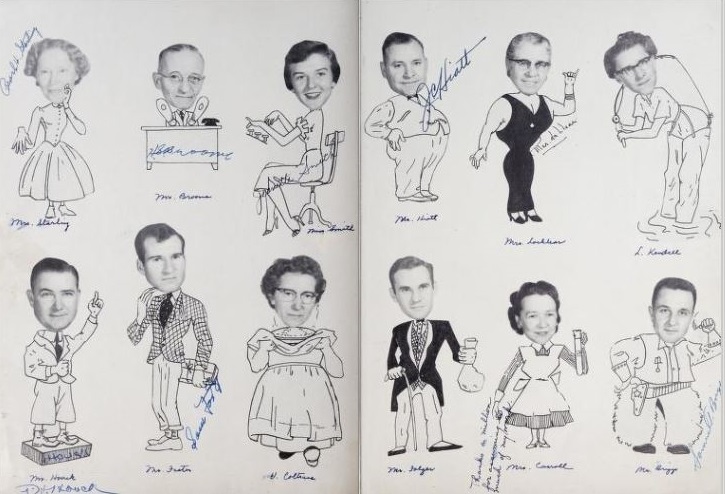 These yearbooks give us fascinating insights into what life was like for high school students in Wayne County in the mid-20th century. To see more from our partner who provided these yearbooks, visit Wayne County Public Library’s partner page, or take a look at their website.